Can I Make Money Blogging about Genealogy? The dream of many people is to create a successful blog and make a fortune doing it so that they can pay off debt and quit their day job. Does that refrain sound familiar? From time to time you see the story of a blogger who made it big by providing incredibly unique content or by getting a celebrity endorsement. Maybe you were entertaining the idea of turning your genealogy hobby into a money making venture. Is blogging about genealogy for money a viable business? This article explores the realities of those who attempt to make money blogging about genealogy. It is always best to be armed with knowledge before starting a business venture. The popularity of blogging today has a lot to do with its low barrier of entry. Anyone can start a blog in a matter of minutes and run it basically for free. The sheer number of blogs available for every conceivable subject is a testament to the power of free. Just because you create a great blog does not guarantee you will make money blogging. Ah, there is always a catch! 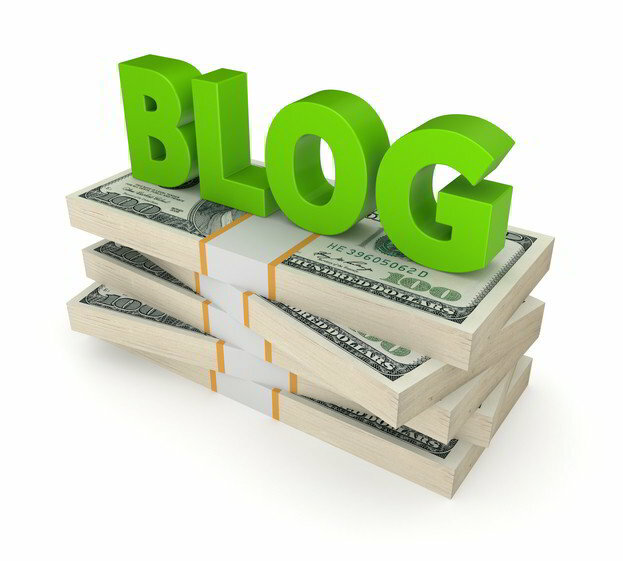 Monetizing a blog is most commonly accomplished by running ads within a blog’s content. The way this works is that you get paid when one of your blog readers clicks on the ad or buys the product advertised, depending on your agreement with the advertising agent. Obviously, the more clicks and purchases you get the more money you will make. Before monetizing your blog, you need a basic minimum of about 100 site visits a day. This is just a rule of thumb, but it would probably be a mistake to monetize with insufficient content or traffic. If you want to make money blogging you have to provide content that is valuable to your readers and attract enough readers to have a viable website. Getting traffic to your site is of paramount importance because it takes a lot of traffic to get enough clicks to make any real money. Increasing the traffic to your blog is just plain hard work. The content of your blog needs to be appealing to your audience, of high value to readers and added to regularly. The best way to get a plentiful supply of traffic to your site is by showing up on the top of search engine listings. The problem is that the field of genealogy is already crowded with heavyweight competitors all vying for the same search engine keyword rankings that you are. If your website appears on the 10th page of a search engine query, no one is going to wade through nine pages of results to get to your link. There are also many search engine optimization (SEO) tricks that can be employed to help increase your rankings; the subject of SEO can easily fill books and is beyond the scope of this article. You can also build traffic using various social media avenues and market your blog to other interested readers. Links to your blog from other websites helps build your blog’s reputation with the search engines and raises your links higher on keyword search results. Needless to say, it is an uphill battle to increase the popularity of your blog, but with plenty of persistence and patience progress can be made. Are the big Genealogy Blogs Making any Money? From what I have gathered from the few willing to share real numbers and through my own experience with pay-per-click advertising, there is not a lot of money being made by blogging about genealogy. Some of the more popular blogs are run by people who have retired and don’t need to make a living from their blog. These folks do it because they have a passion for genealogy and strive to be evangelists of the hobby. Others use their blogs as a marketing tool to bring in business for their more lucrative writing, teaching, speaking and consulting endeavors. That is where the real money is made in the genealogy profession. Unfortunately, to make money blogging about any subject is hard to do and is certainly no path to quick and easy riches. Most people who start a blog fail to ever make any money from it. If you are a good writer, willing to put in the time writing great content for many months without much monetary payback while marketing and building traffic, then you certainly can be successful and beat the odds.